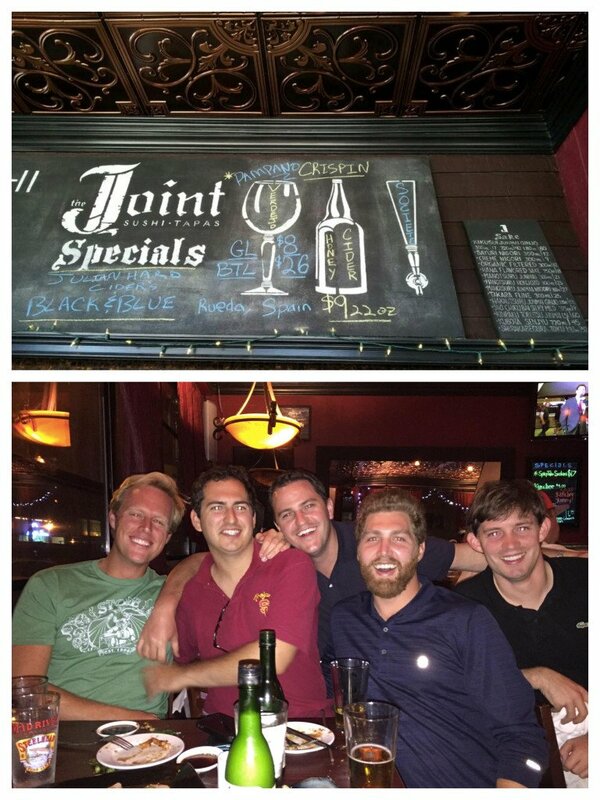 Kudos to Robbie and his crew of decorative ceiling tile spotters at The Joint in Ocean Beach, California! Yes, just by sending in these photos, we treated him to his dinner. 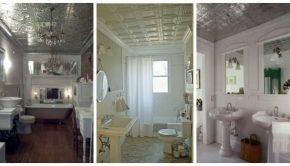 We are that serious about documenting how decorative ceiling tiles are used throughout the world to create ambience and differentiate spaces. 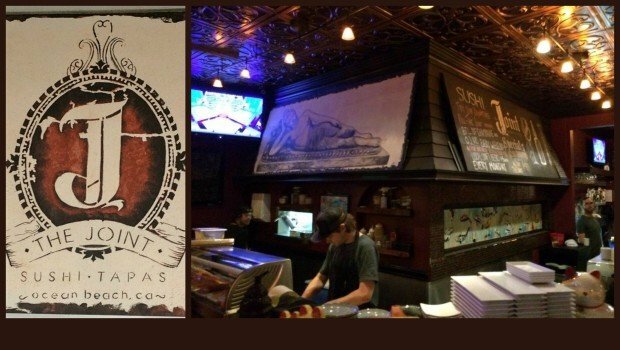 The Joint in Ocean Beach is just that, a small sushi and tapas joint in a quaint San Diego beach town. It clearly is the perfect place to retreat to after a playing 18 holes of golf at the renowned Torrey Pines Golf Course. The decorative ceiling tiles at The Joint help create a space that is warm and welcoming >> they scream take a seat and stay a while! 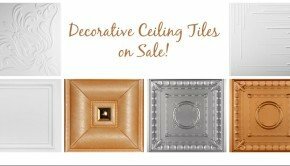 As always, we turned to our buddy Milan over at DecorativeCeilingTiles.net to determine how best to replicate the look of the decorative ceiling tiles at The Joint. 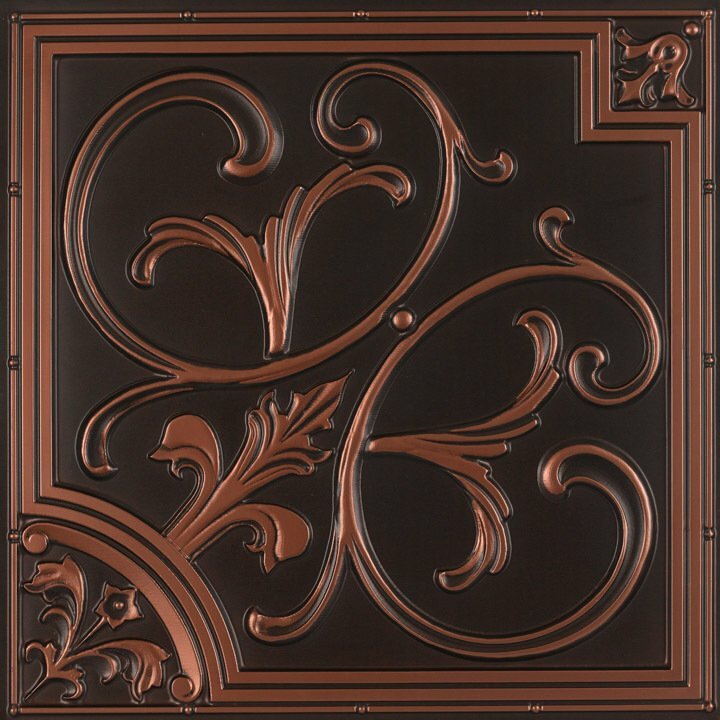 Milan immediately suggested using their Lillies & Swirls Faux tin Tile #204 in antique copper. 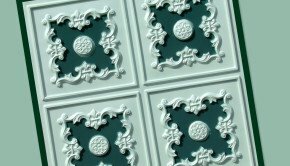 The 204 Lilies and Swirls tile is one of our most popular designs. 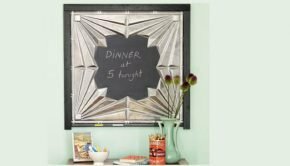 Perhaps that is because this beautiful tile is the perfect marriage of fancy and simple, of floral and abstract, and of three-dimensional and smooth. Perhaps it is because it is stunning both in its beauty and its simplicity. Perhaps it is because it features both a simple swirl and an intricate floral design. Or perhaps it is because it just looks great in any room. 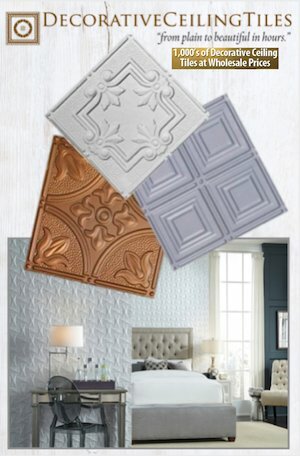 No matter what the reason, you will love our 204 Lilies and Swirls decorative ceiling tiles anywhere you install them. Design Depth is 6 mm = 1/4 in. 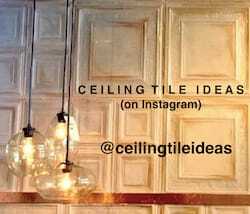 Send us your pictures of decorative ceiling tiles and we will automatically enter you into our drawing to win a free dinner! Summary: The decorative ceiling tiles at The Joint in Ocean Beach California help create a restaurant space that is warm and welcoming >> they scream take a seat and stay a while!